For an interwar government, the Fascist Italy under Mussolini wasn’t too bad – they were pretty mild and not too crazy or controlling. The worst move that Mussolini made was joining up with Hitler, and the second worst was invading Ethiopia – but the USA allied with Stalin and invaded like 50 countries, so big deal. Fascists never ‘seized power’. They made a show of numbers and Mussolini was appointed by the King (Archduke), who eventually deposed Mussolini. 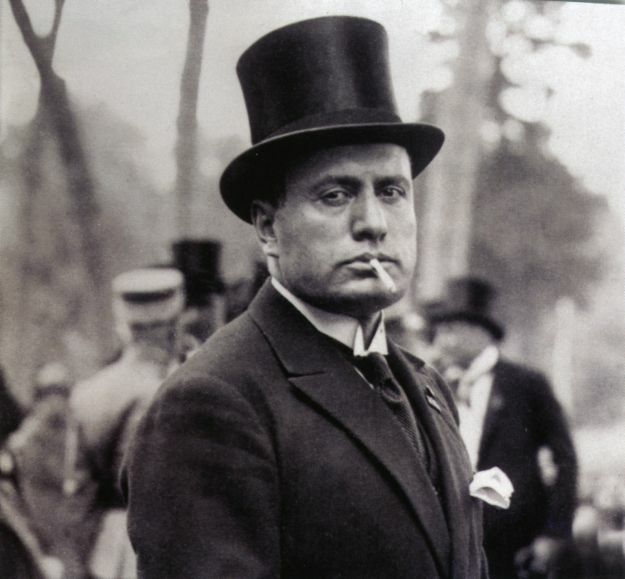 Fascist economic policies were similar to the previous – liberal – Italian government. When Mussolini needed more specie for international exchange, he made a public love-letter to the women of Rome and had them mail in their wedding bands. When Roosevelt needed more money, he robbed every bank in America. The British government’s economic “planning” post-war was far more extreme than anything undertaken by the Fascists. Compared to National Socialist Germany or the USSR, Fascism was a free economy. The modern American economy is far more regulated, inflationary, and state-driven than the Fascist economy was in 1938. Fascist foreign policy was also similar to that of the previous Italian government – invasion of Ethiopia had actually been contemplated by the Italian liberals who wanted to be an important imperial power (too late to matter). Italians tolerated dissent, including communist dissent. Very few political prisoners existed under the Fascist government, and they were typically under house arrest. Italian troops were some of the best behaved – on any side – during the war. They were massacred by the SS for refusing orders to slaughter civilians. Italian fascism was not overtly racialist, nor was it anti-Semitic. Italian Fascism was part of the early anti-Nazi movement in Europe. Fascist totalitarianism was largely theoretical, and even on that level, was not akin to the totalitarianism of the Soviet Union. The Fascist idea of the ‘total state’ was that it should be a moral, regenerative force – not that it should literally run the details of everyone’s daily life. The Fascist emphasis on the state’s role in shaping culture and morality is no more extreme than that of modern liberal views of public education and state endowments for the art and – in practice – far less extreme. Mussolini may also be the only political executive to ever write favorably about Max Stirner. I view him more as a con-man than a villain. If they really wanted to get at the people responsible for “fascist” tyranny in the war years, mob that lynched il-duce would have hung themselves.